Our inexpensive baby shower favors feature favors priced under $2. Choose from a wide assortment of affordable, practical, and adorable designs to help you decorate for the party and give your guests something they can take home as a remembrance. 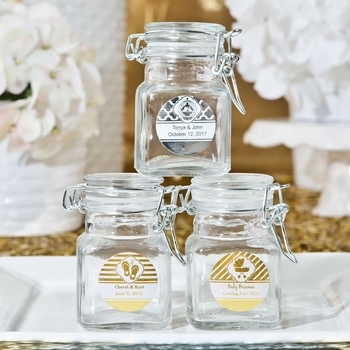 Many of these favors can also be personalized with custom labels or tags. This gives you the opportunity to enhance and individualize them with graphics, text, and color combinations to harmonize with your party theme. We also guarantee the lowest prices, so you can be assured of the best values. For questions, please use our contact form or give us a call toll free at: 866-476-0213. All favors in this section also include free standard delivery.